Pioneers in the industry, we offer counter sink cutter from India. 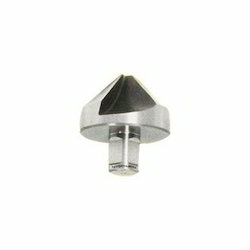 Our organization is engaged in trading and supplying Counter Sink Cutter. Designed with high precision, these cutters are manufactured using high-grade high speed steel and advanced production techniques at vendor's base. The machines offered by us are used with any brands of magnetic drilling machines like Jancy, Rotabroach, Fein, Alfa, BDS, NITTO, Hougen. We are majorly looking for queries from Middle East & Africa. Material: M35 cobalt high speed steel. Looking for Counter Sink Cutter ?